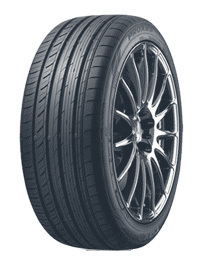 The premium choice for dynamic drivers, this tyre is designed for powerful, luxurious saloon cars. The Proxes C1S has been designed with an asymmetric tread design which improves handling, allowing drivers to feel confident that they are in full control. This tyre has also been constructed using exclusive Toyo silent wall technology, offering a quiet and comfortable ride.